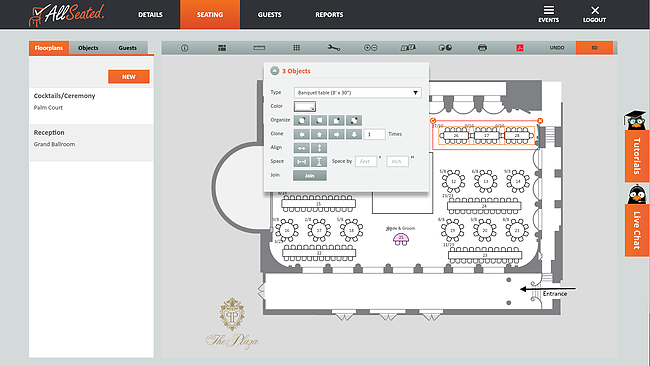 We strongly believe that using AllSeated is the perfect way to simplify and streamline your event planning process. While using our creative tools for building your floorplans and arranging your seating charts is an easy (and fun!) process, we do receive questions from time to time asking how users can accomplish specific tasks within their AllSeated account. How do I get my floorplans into AllSeated? You can upload your floorplans from within your AllSeated account via the Floorplans Wizard. Please include the venue name, address, and at least one accurate dimension so that our team can build your floorplan to-scale and in 3D within 72 hours! How do I make my connected tables one object? To make the tables one object, you click and drag your mouse around all of the tables, so that they’re all selected, and then a box will pop up. When the box pops up, the last button on the bottom says “join”. Once you click that the tables will become one table. 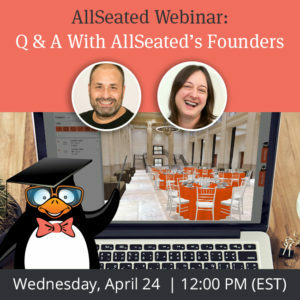 How do I seat my guest at tables, or at specific seats? To seat your guest at tables, you must first have your guest list entered into the the guest tab of AllSeated. Once that is done you can click on the seating tab, and click the smaller guest tab on the left. Then, click the button to “link” your event. Once all your guests show up, you just click to select them (don’t drag) and click on a table to place them down. Now your guests are at tables! If you want to place them at specific seats, click the table, and when that box pops up, click “guests” in the top right corner. Then click the chair icon in the bottom right corner, and again, click on the guest, and click on the seat. 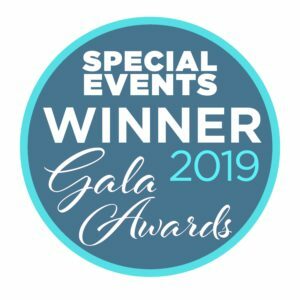 How do I invite my client into my AllSeated account to do the guest list and seating? 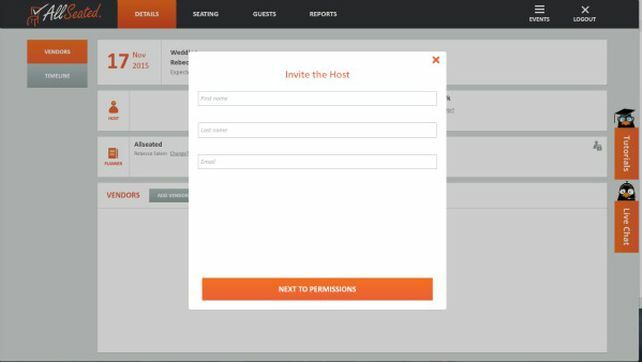 To invite your client (or any other person working on the event) you go to your “details” page, and you click “add host”. There you can type in all of the information, click next to permissions, and choose what this new user on your account can or cannot do on the floorplan. Once you send the invite, they will receive an email with a link to register. 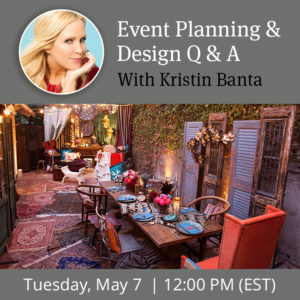 How can I use a floorplan from a previous event for a new event? To use a floorplan from a previous event, the new event needs to be in the same room as the previous event. Go into the previous event, and click the icon on the top toolbar, second from the left (with the black squares), then save the template. Then go into the new event, click new floorplan, choose the same room, and give it a name. Once you have the empty room in front of you, click the same icon, and load the template. Should you have a question while working in your AllSeated account, you can always ask us via live chat. We are happy to help!